Independent Life is seeking qualified partners across the United States, Canada, and Europe. • A person of high moral character and service, which should be demonstrated either in a professional resume or letter attached with resume. The partnership that we created and are wanting to fill is 50/50 split or net revenue. Independent Life Home Care (the franchise) will collect 50% of net residual profits; the franchisee will collect 50% of net residual profits. • Independent Life Home Care will cover all salaries until reimbursed from the client or Medicaid. • Independent Life Home Care will be responsible for the financial aspect of the agreement for the contract term. • Independent Life Home Care will also be responsible to provide assistance to the franchisee regarding consulting as to insurance and programs for clients. Franchisee will NOT be required to bring capital into the agreement; we are simply seeking qualified individuals of strong moral character who are seeking a long-term partnership. Franchisees responsibilities will include all day-to-day business operations. Franchisee will be a legal 50% owner AND operator. We are carefully seeking long-term partners. If you are interested and fit the above criteria, please send your resume and a letter detailing why you feel you will fit into our organization. Please include the city in which you intend to open an Independent Life Home Care location. If you can’t find what you’re looking for or have a specific request, simply complete the form below. We’re always here to help. We’re always available to discuss your particular situation and needs. Just call us at the number below. We’re here to help however we can. When selecting a home care agency to work with your loved one, it is important that your family be comfortable with their caregiver. Independent Life Home Care does an excellent job matching clients to caregivers to ensure a successful working relationship. When we chose them for our mother’s dementia care, we were really impressed with the fit! Over the years, I’ve found that some things have become more difficult than they used to be! What’s great about working with Independent Life is that I can adjust my home care services as needed, they always have a caregiver available to help me. My mother always loved chatting with her caregiver from Independent Life. She was a little uneasy at first about having someone come into her home, but quickly grew to enjoy the companionship and professionalism. Independent Life’s caregivers are really top notch! I’d definitely recommend Independent Life Home Care to anyone in the Las Vegas area who is in need of home health services for themselves or their loved ones. Independent Life’s caregivers are a joy to work with, and their 24-hour care services have always exceeded my high standards. After being admitted to the hospital for so long, I just didn’t feel ready to be on my own yet. Independent Life connected me with caregivers who provided the home care I needed to manage my recovery and keep my house in order. I welcomed having someone to chat with regularly, and felt safer knowing someone was there when I was not yet back to my best self. I’d certainly recommend their home care services to anyone facing a lengthy recovery. Dad really struggled to stay active after Mom passed, I think he felt a bit burdened by all he had to do. His caregiver stepped in to assist with household chores and to help him with his needs, and I think that made quite a difference in improving his quality of life. That companionship and mental stimulation seemed to help him carry on, doing the things he loved. I’ve always been independent, but I’m a realist as well. I recognized I was having trouble with certain things, so I got to work searching for a solution which would help me stay healthy, happy, and in the Las Vegas home I love. I contracted senior care services with Independent Life Home Care, and was able to choose the services I need. It’s great having someone to help me with the tasks that have become difficult, and I also welcome the conversation and company of my caregiver each week. When my mom was sick, it was helpful to have a caregiver available to come in and assist me with the day to day housekeeping as well as provide home health assistance. I really feel that Independent Life Home Care made that time much more manageable for our family. If you are caring for a loved one at home, don’t forget that you need time to care for yourself, too! 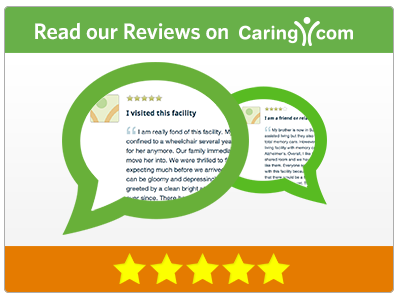 Respite care is a must so that you can take care of your needs. I trust Independent Life to care for my son when I have important appointments to attend, and when I need time to recharge. I cannot thank Independent Life Home Care enough for the compassionate hospice care they provided during my husband’s final days. It was a tremendous comfort to have someone dependable to rely on so that I could spend those last moments with him. Alzheimer’s disease and dementia are conditions which worsen as time goes on. As a caregiver, it is importan..